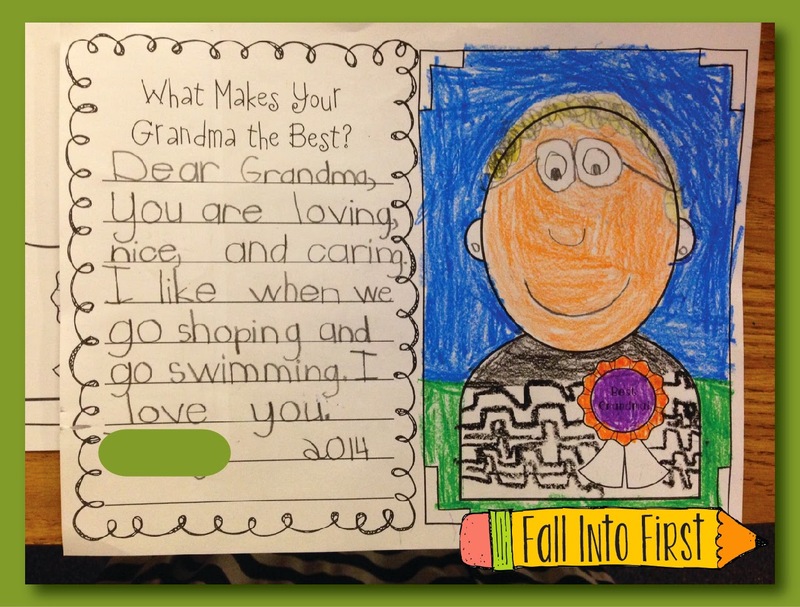 Sunday is National Grandparents Day so today we took a little time to celebrate our Grandparents! I don't have a ton of extra time so we had to keep it simple. These adorable printables are from Cara Carroll. It is from her Precious Parents Packet. We began whole-group by creating a Bubble Map with adjectives describing our Grandma's. We have just begun learning about adjectives and my kiddos did an amazing job! I really loved the word "generous" :) When we were finished brainstorming, I had the kids choose a crayon and circle three adjectives that describe their grandma. We then flipped our paper over to make a circle map of things that we like to do with our grandma. (Sorry it's not fancy) The kids then circled two things that they like to do with their grandma. We used the following sentence frames. You are _____, ______ and _______. I like when we ______ and ______. I love you. Seriously these cards are the cutest thing EVER and I know that their Grandparents are going to just treasure these beautiful cards. 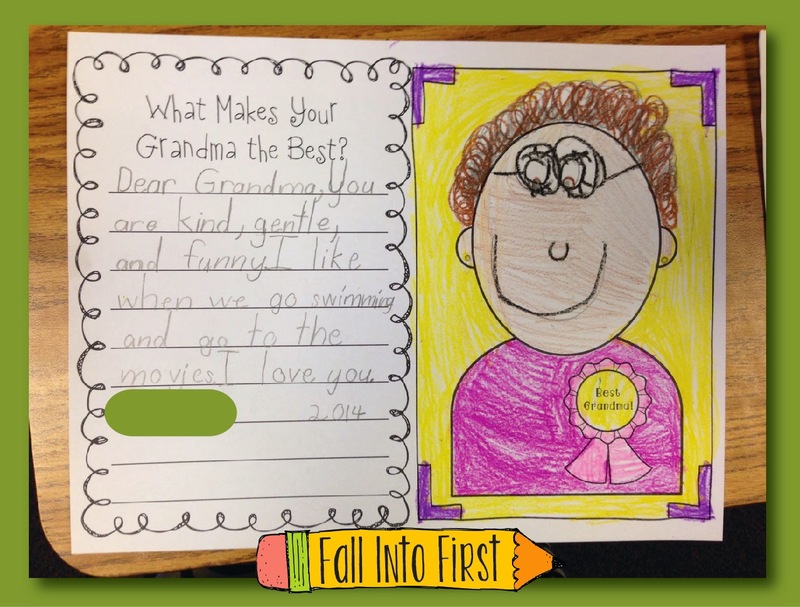 I love your grandparents day activity. 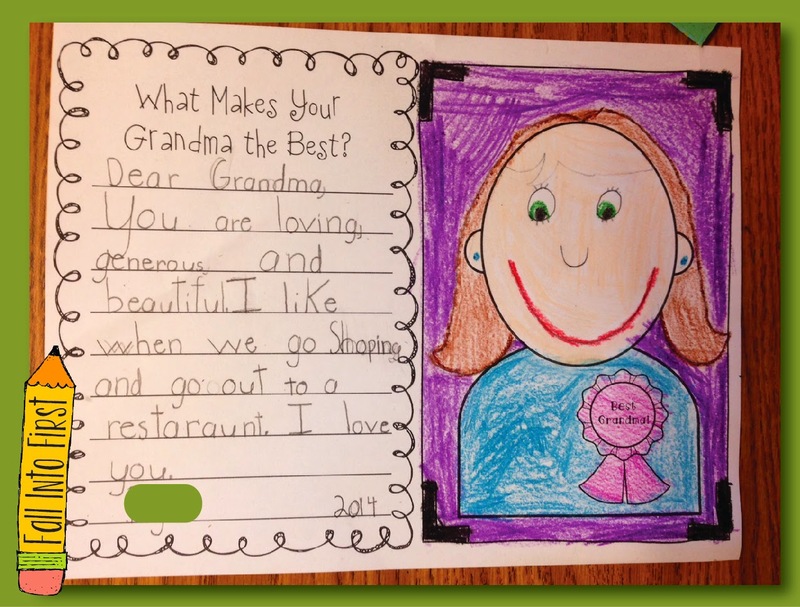 I bet every grandparent would love receiving a letter like those.